There is always a new health trend every week or so about something being healthy or good for you. Sometimes it is bogus and sometimes it is true. Drinking lemon water is a true health benefit. Upon waking up, squeeze some fresh lemon juice into a glass, fill with warm water and drink. 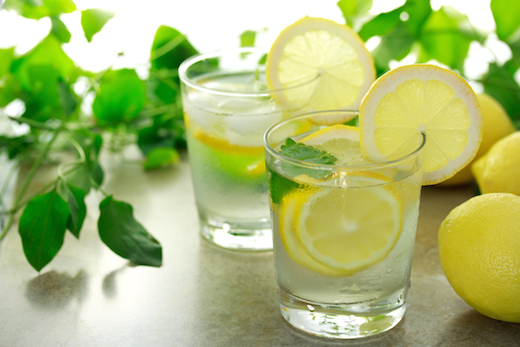 Drinking lemon water has myriad health benefits, from helping your immune system to offering an antioxidant boost. Doctors from across the globe explain how beneficial drinking lemon water is. I am not talking about celebrity doctors or Dr.Oz. I am talking about your neighborhood physician. On top of that, lemons are very high in bioflavonoids that destroy harmful free radicals that damage blood vessels and cause inflammation. That is the technical term for helping your immune system function. Helps Digestion. Giving the body adequate water when you first wake up is a great way to get your body and your mind going. A Natural Detox. Drinking enough water, especially in the morning, helps make sure that the body can perform these jobs most effectively. There is even some evidence that lemon juice can help stimulate proper stomach acid production and bile production. Immune System Boost. Lemons contain Vitamin C… not a spectacularly high amount, but 30-50 mg per lemon. They also contain potassium. Drinking lemon water first thing in the morning gives the body a chance to absorb these vitamins effectively and can provide a little immune boost. Healthier Skin. By helping flush the body and improve digestion, lemon water can lead to cleaner skin. The Vitamin C in the Lemon is needed for collagen production for smooth, healthy skin. Healthier Weight. There is evidence that drinking water, especially lemon water, first thing in the morning can help maintain a healthy weight. It does help suppress appetite, which aids in weight loss. I have several mason jars full of lemon water. I put it in the refrigerator to preserve the lemon. I take it out of the fridge before bed and let it sit. In the morning, the water is room temperature ready to drink.